Decisive benefits speak for the BARKE planer turnblade. It is substantially more affordable than regrindable planer knives. 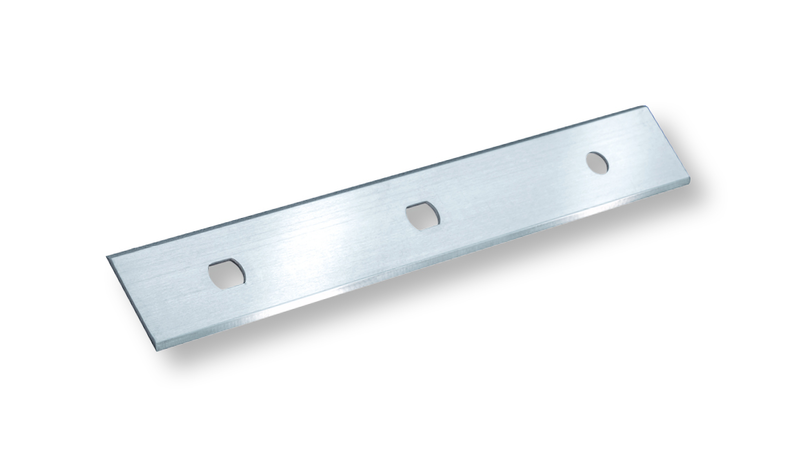 With a conventional overall thickness of 3 mm, it fits in nearly any available cutter block. Turnblade adjustment functions extremely easily and quickly by means of adjustment sleeves. These ensure a consistently uniform height. And most importantly: Due to the Trimetall Technology, a significantly longer cutter life of Barke turnblades is achieved, compared with regrindable planer knives – and moreover, consistently superb planing results. - Complete machine conversion is more affordable than new replacement regrindable planer blades! We also supply cutter heads with the BARKE SYSTEM. MODERNISE YOUR OLD PLANER CUTTER BLOCK NOW!